Posted on November 23, 2015 by Siddharth. The decision in the famous and controversial Schrems case (press release) delivered last month has created confusion with respect to the rules applicable to companies transporting data out of the EU and into the USA. The case arose in light of Edward Snowden’s revelations regarding data handling by companies like Google and Facebook in the face of extensive acquisition of user information by US security agencies. The matter came up before the Court of Justice of the European Union (CJEU) on referral from the High Court of Ireland. The case dealt with the permissibility and legality of a legal instrument known as the Safe Harbour Agreement. The Safe Harbour Agreement regulates transfer of data from the EU to US by internet companies. 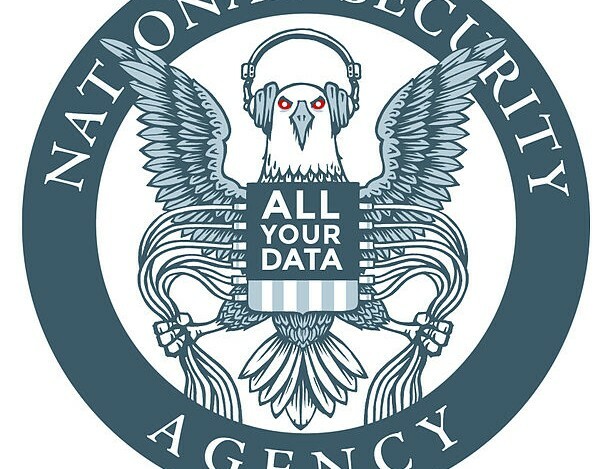 The effectiveness of this regulation was thrown into serious doubt following revelations by Edward Snowden regarding large scale surveillance carried out by USA state agencies, such as the NSA, by accessing users’ private data. The agreement was negotiated between the US and the EU in 2000, and allowed American internet companies to transfer data from the European Economic Area to other countries without having to undertake the cumbersome task of complying with each individual EU country’s privacy laws. It contained a set of principles that legalized data transfer out of the EU by US companies which demonstrated adherence to a certain set of data handling policies. More than an enforceable standard to protect users’ data, it was a legal framework which served the purpose of giving the European Commission a basis to claim that data transfer to the USA was legal under European laws. The Safe Harbour Agreement was meant to simplify compliance with the 1995 Data Protection Directive of the European Union, which laid down fundamental principles to be upheld in processing and handling of personal data. A 2000 decision of the European Commission held that the Safe Harbour Agreement ensured adequacy of data protection and privacy of data as required by this Directive, and came to be popularly known as the “Safe Harbour decision”. Since then, over 4,000 companies signed on to the Agreement in order to register themselves to legally export data out of the EU and into the USA. After the Snowden leak however, it became clear that these principles were blatantly violated on a large scale. It was in this context that Maximilian Schrems, an Austrian law student, approached the Irish Data Protection authority complaining that US laws did not provide adequate protection to users’ private data against surveillance, as required by the Data Protection Directive. The Data Protection Authority dismissed the complaint, and Schrems then chose to appeal to the Irish High Court. The High Court, having heard the petition, chose to refer an important question to the CJEU: whether the 2000 EC decision, which upheld the Safe Harbour Agreement as satisfying the requirements of the EU Data Protection Directive, meant that national data protection authorities were prevented from taking up complaints against transfer of a person’s data as violating the Directive. The CJEU answered emphatically in the negative, emphasising that a mere finding by the Commission of adequate data protection policy by an external country could not take away the powers of national data protection authorities. The national authority could therefore independently investigate privacy claims against a private US company handling an EU citizen’s data. The CJEU also found that legislations authorising the interference of state authorities with data handling of private companies had complete overriding effect over the provisions of the Safe Harbour Agreement. This was based on a two-pronged reasoning – firstly, that the data acquired by state agencies was processed in ways above and beyond what was necessary for protecting national security. Secondly, users whose data had been acquired by the authorities had no legal recourse to challenge such an action or have that data erased. For these reasons, it ruled the Safe Harbour Agreement as failing the requirements of the EU Data Protection Directive. This decision created a fair amount of deliberation regarding what made data transfer from the EU to the US legally valid, since the main legal basis for it had just been struck down. However, the interesting point to note here is that the Agreement is not the only legal basis for such data transfer. Further, for the data transfer to be held illegal, individual handlers of data would now have to be challenged at forums of national data protection authorities to be held as illegal. Thus the decision importantly does not pull a curtain down on all data transfer from EU to US; however, the legal machinery of the Safe Harbour Agreement has rightly been found to be ineffective. Therefore, while internet companies do not need to shut down operations in EU, they do need to review their data handling practices, and adherence of these practices to other available norms, like the EU’s model clauses for data transfer to external countries. Some companies have even gone a step ahead and tried to come up with solutions to the vacuum left behind by the Safe Harbour Agreement, like Microsoft, as it does in this blog post by the head of its legal department. That said, the EU has issued a statement that an agreement needs to be reached with US companies by January 2016, failing which it will consider stronger enforcement measures, such as coordinated action taken by each of the EU countries’ data protection authorities. The scenario is still an evolving one, and this shake-up can positively lead to better enforced privacy and data protection principles. Posted in Intermediary Liability, Privacy, and Regulation. Tagged eu, Facebook, Google, intermediary, max schrems, NSA, and usa.